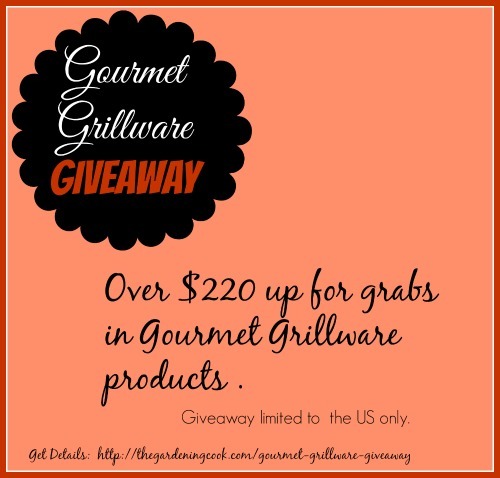 My friends at Gourmet Grillware have an exciting offer for US readers of my blog. They recently sent me a fish griller from their range of grill ware to review to see if I liked it. You can read my review of it here. The company also has a huge giveaway for their grill ware. Over $220 in Gourmet Grillware items are up for grabs in the promotion. Perhaps you could be the lucky winner! 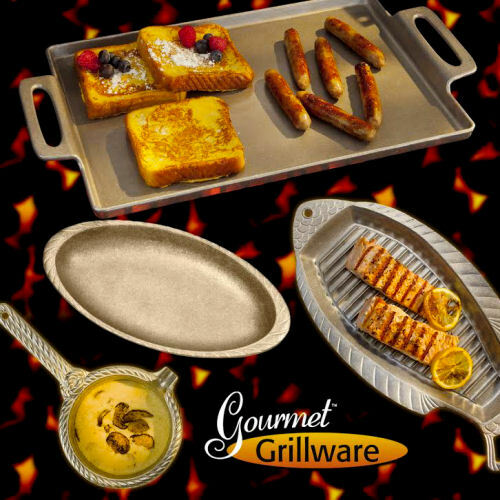 These grill ware items are perfect for camping! They are also very versatile. You can cook with them on a stove top, over an open fire, or even on an outdoor barbeque. They also go from freezer to oven to tabletop to fridge. Not microwaveable, but very easy to clean as long as you remember to lightly oil it before you first use it. This will help to protect the finish. The offer is limited to US customers only. Use the entry form below for your chance to enter the promotion. Giveaway entries begin on July 1, 2014 and End at 11:59 pm EST on July 15, 2014. Great give away! I love the William & Mary large bowl. Thanks for the chance to win the grill collection. Hope you are one of the lucky ones Kelly! Best of luck with your Entry Laurie. OH how cool is this stuff??? Love it and would love to win! Whoops forgot to say… I have a huge collection of Wilton Armetale serveware already, so this stuff would fit right in. I love my shell platters and the classic collection. I would use them for sure. What a great opportunity. Thank you for posting this Carol! I like the BOUCLE 16″ OVAL TRAY. I like the GRILLWARE PIZZA TRAY. These pieces are wonderful, beautiful but very functional. Oh to complete the set, I’d have to have the salt & pepper shakers! !